If you’re a man and you’re into running, you know that the most critical investment you can make when it comes to your gear is what separates you from the ground you run on – namely, your running shoes. There are so many styles and features available that it can be overwhelming when trying to decide on what pair to choose. The running shoes that are best for you will come down to what your specific needs are and which brand and style best match those needs. To help you narrow down the huge number of selections available to you, here are the top 10 best running shoes for men. Weighing in at 7.6 ounces, the New Balance 1500v2 is an excellent combination of lightweight materials and a responsive sole that will impress veteran runners and newbies alike. The cushioning in this shoe isn’t too firm nor is it too soft, providing the perfect balance for longer runs as well as shorter jaunts. Runners who prefer a stiffer overall shoe will want to skip this option as it is definitely less stiff than many other running shoes available at a similar price. 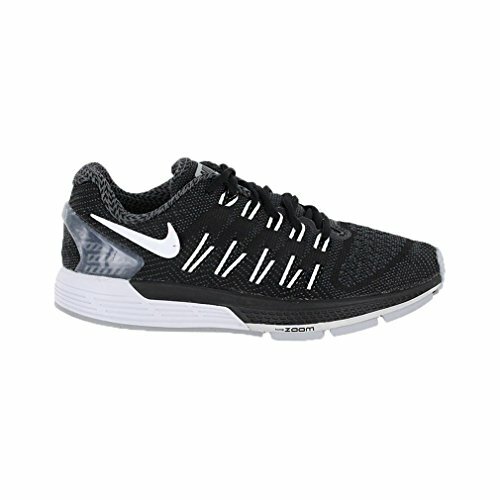 Speaking of stiffness, the Nike Air Zoom Odyssey is one of the stiffest men’s running shoes available today. 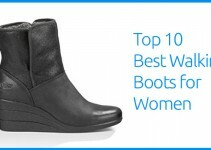 Not only that, but this shoe rates near the very top in stability. It’s not the lightest running shoe out there; its weight comes in at 10.3 ounces. That’s pretty hefty in the world of high-performance running shoes. 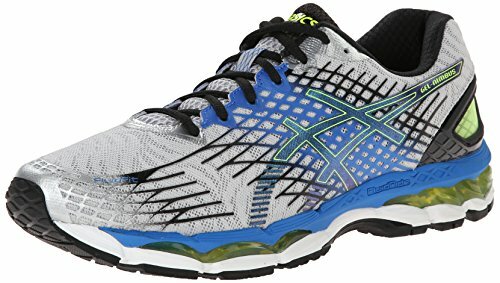 However, what it lacks in the weight category it makes up for in the comfort category as this is one of the most comfortable running shoes on the market. 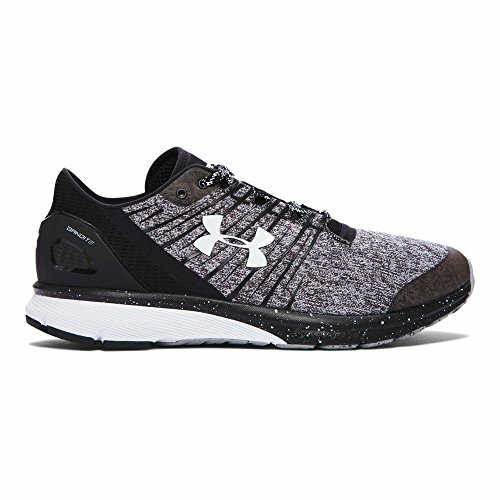 It didn’t take Under Armour very long to break into the running scene, and now that they’ve established themselves, they’re looking to grow their presence with the release of their Charged Bandit 2 men’s running shoe. What sets this shoe apart from the pack is its progressive styling. This shoe looks fantastic, and it performs well, too. Be mindful of the lower amount of forefoot cushioning this shoe provides. If you’re a runner who strikes on the forefoot, this shoe may not be for you. 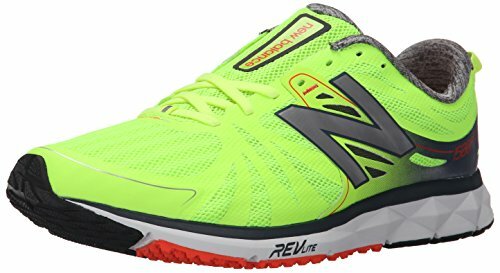 New Balance makes a second appearance in this list with their Vazee Pace V2 mens running shoe. This is a shoe for runners who desire a stiff sole and who don’t necessarily need thicker cushioning. Weighing in at 8.1 ounces, the Vazee Pace V2 is fairly light in comparison to other shoes with similar characteristics. 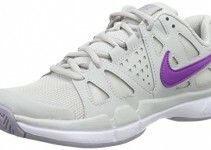 The unique ‘Revlite’ midsole provides and more responsive feel and the mesh upper holds the foot in place quite well. The Asics Gel-Nimbus 17 is the heavy-hitter in this list. The shoe weighs 11.3 ounces which makes it one of the heaviest men’s running shoes out there. But for the sacrifice in weight, you’re getting a lot of cushioning in the heel as well as in the forefoot area. Plus, this shoe has a fairly high profile which is great for runners who want added ankle support. It’s not the most stable men’s running shoe, but it does a great job at absorbing shock. If the Asics Gel-Nimbus 17 had a close competitor for being a running shoe juggernaut, the Saucony Hurricane ISO is it. This shoe touts a 10.6 ounce weight with a fantastic stiffness rating and ample forefoot cushioning. The heel cushion is thinner than comparable shoes, so this is definitely a shoe more appropriate for forefoot strikers. While the Saucony Hurricane ISO is incredibly stiff, look elsewhere if you’re in need of a thicker heel cushion. 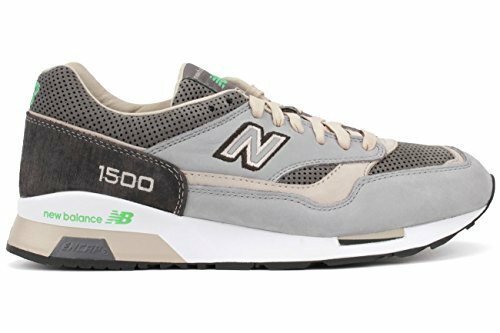 Here is the second iteration in New Balance’s 1500 line of men’s running shoes. The 1500 is a tad bit lighter than the 1500v2, coming in at 6.6 ounces. For what you’re getting in reduced weight you’re sacrificing in stiffness as this shoe is by far the least stiff shoe on this list. If you value a flexible sole over a stiff one, this shoe is for you. The New Balance 1500 would probably be best suited to runners who are doing speedwork or sprint training. 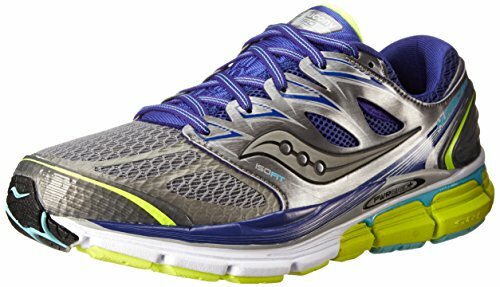 The Saucony Triumph ISO is near the top in the ‘overall’ category, as it has excellent cushioning across the entire sole as well as fantastic stiffness and good stability. At 10 ounces, it’s not the lightest shoe on this list but it does meet the need for a quality men’s running shoe that is as stiff as it is cushioned. Also, the color palette and styling incorporated into this shoe will certainly turn heads. 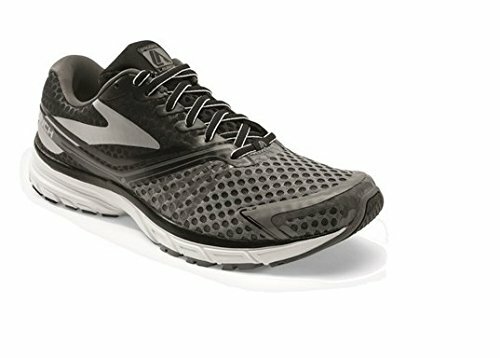 Brooks earns their spot on this list with the release of their stylish Launch 2 men’s running shoe. 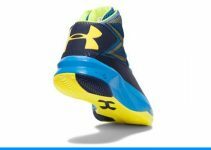 This shoe has a remarkably well-made upper that conforms to the wearer’s foot better than any other shoe listed here, however its stiffness and forefoot cushioning leave a little bit to be desired. At 10 ounces, it’s not incredibly heavy nor is it incredibly light. This makes the Brooks Launch 2 a good overall pick for runners who want a no-nonsense shoe option. Rounding out our top 10 list of men’s running shoes is the Nike Flyknit Lunar 3. This may be one of the most expensive shoes listed, but in the realm of high-performance running shoes you definitely get what you pay for. 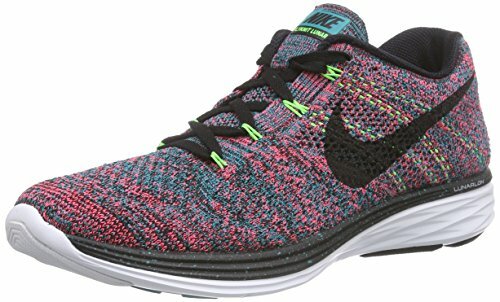 The Flyknit construction is unique in that the entire upper is a knitted material that isn’t sectioned like traditional mesh uppers. The cushioning is average in thickness but this shoe beats out all the rest in terms of responsiveness, comfort and durability. Runners who know the value of Nike’s running shoes will not be disappointed with the Flyknit Lunar 3. Choosing the right running shoe for you can be an arduous task. Hopefully now you have a better idea regarding which running shoes to consider further before making your final buying decision.